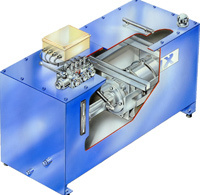 In addition to installation and refurbishment packages, Hydrax stocks a full range of hydraulic equipment. If you’re looking for supplies, upgrades, or just spare parts, this is the place to find them. 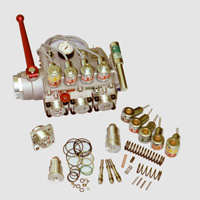 In addition to our main supplies of hydraulic cylinders, power units and general spares, Hydrax also stocks such equipment as coolers, tank heaters, lift cars, slings, guide rails, over-speed governors, pulleys and ropes. For all your hydraulic lift equipment, give Hydrax a call. Up to 300mm diameter and a 20 meter stroke, with multiple-section cylinders being our speciality. Available in 2, 3 and 4 stage configurations. As with all our services, whether you are searching for a standard cylinder, or a custom design and build, Hydrax have the solution. Hydrax hydraulic power units operate at the core of our hydraulic systems, so we ensure that we manufacture them to fit your specification. The unit is built with the final product in mind, ensuring a smooth ride and high dependability. Our submerged power units offer extremely low noise, low pulsation characteristics together with unparalleled reliability. All units are fitted with manual lowering, level & temperature gauge, pressure gauge, filler breather and wired electrical box. From the smallest cylinder to entire projects, Hydrax considers no job too big or too small. 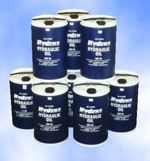 Give Hydrax a call and let us meet your power requirements. To ensure a full service to customers and to simplify maintenance, Hydrax stocks all your hydraulic spares, suited to fit every configuration. Hydraulic oil & Thermostats etc. Whether you need a fast fix or are just preparing for the worst, call Hydrax now for all your spares.